Pumpkins, classified as fruits due to their edible seeds, get their name from the Greek word pepon, meaning “large melon.” The French then adapted this name into pompon, and the English then called them pumpion or pompion. They also have a good chunk of nutrients to offer, in addition to being tasty. Pumpkins contain potassium, antioxidants and are a good source of fiber. You can start most of our best pumpkin recipes with canned pumpkin at the grocery store, but you can also make your own pumpkin puree. If you decide to head to the store and buy canned pumpkin, you may be in the baking aisle wondering what the difference is between canned pumpkin and pumpkin pie filling. The answer: canned pumpkin is simply cooked, pureed pumpkin. Pumpkin pie filling is often flavored with spices like cinnamon, clove, allspice or ginger, and is pre-sweetened. 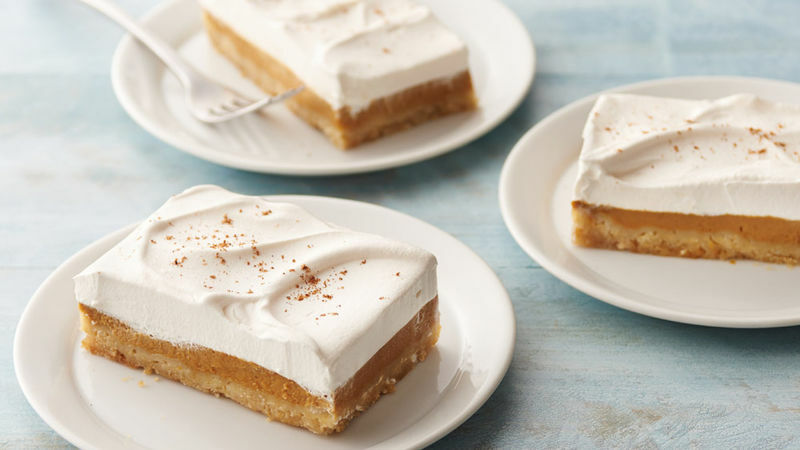 Using pumpkin pie filling instead of canned pumpkin can result in an overly spiced or sweetened recipe, so don’t use it as a direct substitute. Want to learn all about pumpkins? We break down the different types of pumpkins, as well as the best way to serve them in our how-to guide.